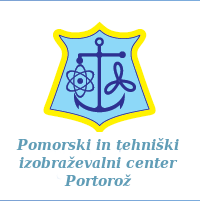 Seamen's union of Slovenia (SUS) is representative Slovenian seamen's union. It acts independently from political parties and irrespective to political, national or religious appartenance of individual members. SUS is a legal entity and independent carrier of rights and obligations written in union's Statute, program of acting and other documents. SUS is operating freely in realization of interests and demands of its members in accordance with international conventions. In Slovenia, the SUS has been associated with the Confederation of Trade Unions 90 of Slovenia (KS90) since 2007. The SUS has been affiliated with the International Federation of Transport Workers (ITF) and the European Federation of Transport Workers (ETF) since the establishment of our union in 1990. In the year 1990 due to political developments in our country, need for new union arised which would replace existing one. For first president was elected Mr. Vladimir Zevnik. In next couple of years he built foundations on which SUS is standing today. Throughout the years the trade union fought for the rights of all seafarers, Slovenian and foreign, and this will be our main guide in the future. Currently, the union has about 250 members of various nationalities: Slovenian, Croatian, Serbian, Bosnian, Montenegrin, Russian, Ukrainian and Philippine seafarers. Seamen's union of Slovenia is standing for protection of rights, assert of interests and struggle for better position of seamen in society. SUS pleads for democracy and freedom and is resolutely against any discrimination regarding color of skin, faith, gender or political conviction.